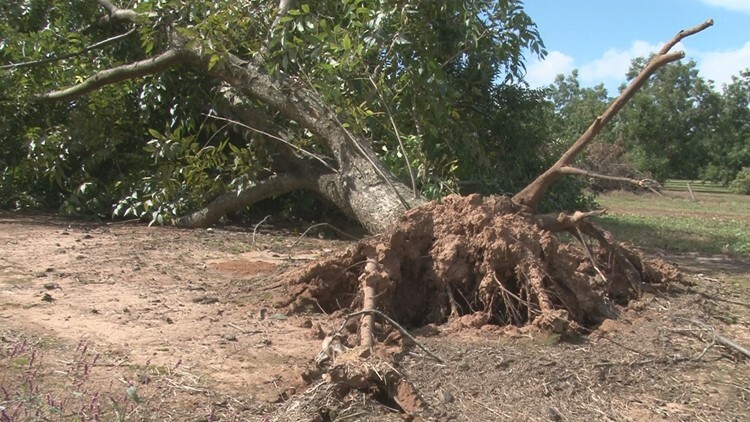 Pecan and cotton farmers across Georgia lost crops from Hurricane Michael. Some farmers in the counties further south are dealing with total losses. Lawton Pearson from Pearson Farm in Fort Valley says the crop damage from Hurricane Michael gets worse the further south you get. "We have far fewer trees down on this farm. Statewide, it's a whole different story," Pearson said. Pearson's a pecan and peach farmer in Crawford County. In the aftermath of Hurricane Michael, he considers himself on of the lucky ones. He lost 200 trees this year from the storm, which is far less that the 1,500 he lost from Irma last year. He said Georgia's pecan industry as a whole took a major hit. "We fear it's going to be pretty severe for our industry. It's going to set us back a long, long way, 10-20 years. It may take 10-20 years to recover as far as production," Pearson said. Pecan expert from UGA's Extension Service Lenny Wells said Seminole County farms lost 100 percent of pecan crops. Decatur had an 85 percent setback, and Grady lost about 30 percent. Fort Valley cotton farmer Kyle Bohmenstiel said he lost about 40% of product. "We're just going to be able to break even on all this hard work we did, so that's the hard part for us, but nothing like the guys down south who had a total and complete loss," Bohmenstiel said. 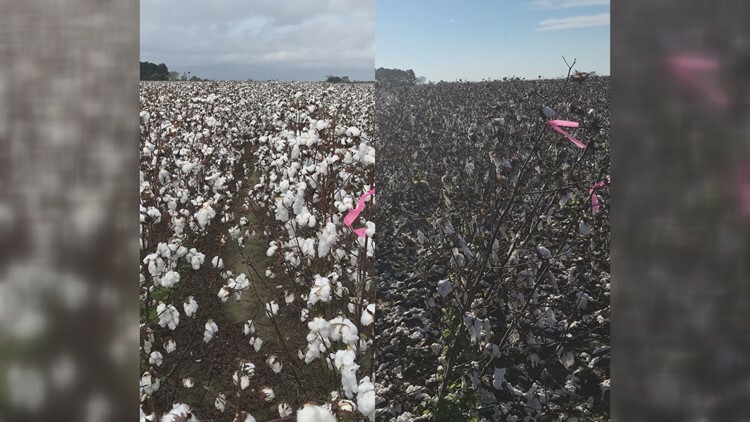 UGA Extension Cotton Agronomist Jared Whitaker said cotton farms in Hurricane Michael's path form Cordele to Augusta lost between 85-100 percent of cotton. "Before the hurricane, I think Monday and Tuesday, we picked for 18 hours those days to try and get as much out as we can," Bohmenstiel said. Georgia is the second-largest cotton producer in the nation behind Texas. Whitaker said Michael took at least half of this year's harvest. "Some years we produce up to 1 million bales of cotton that go into the global marketplace. Georgia cotton is very, very important globally," Bohmenstiel said. 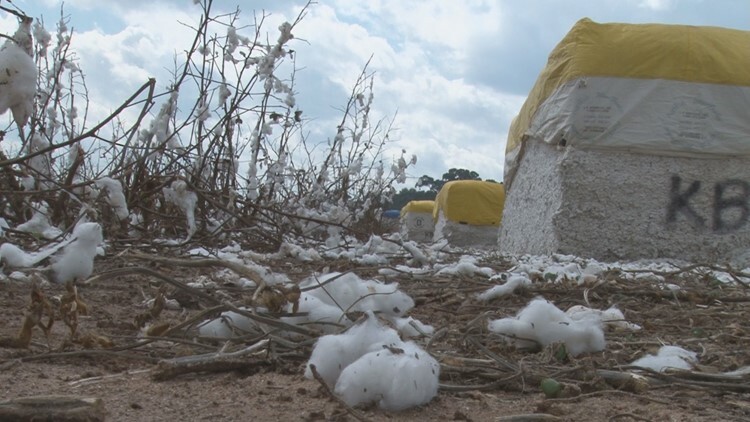 Whitaker said Hurricane Michael's timing was especially bad for cotton farmers, because most of the bulbs were open and ready to be picked. Compared to Irma last year, Georgia cotton farmers only lost about 15 percent of crops because the storm hit about a month earlier when they weren't quite ready for harvest.